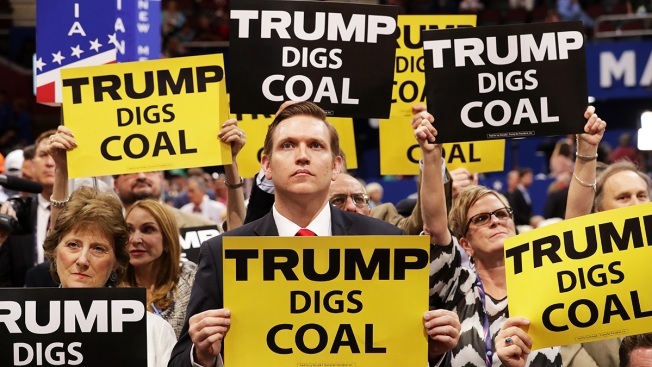 Delegates hold signs that read "Trump Digs Coal" on the second day of the Republican National Convention on July 19, 2016, at the Quicken Loans Arena in Cleveland, Ohio. The Interior Department has put on hold changes to how the federal government values huge volumes of coal extracted from public lands, primarily in the Western United States, after mining companies challenged the agency in federal court. The move by the Trump administration means current rules governing the industry will remain in place pending decisions in the courts, according to an agency notification due to be published Monday in the Federal Register. 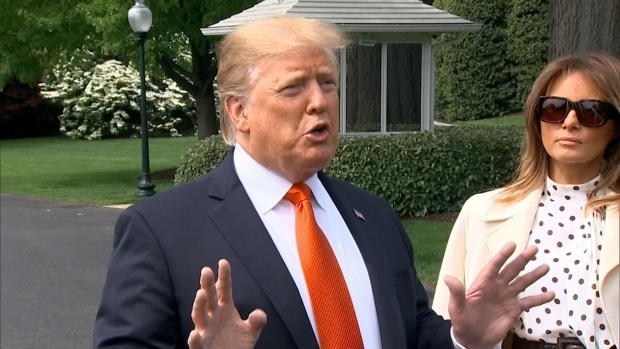 The changes, crafted under the administration of President Barack Obama, were aimed at ensuring companies don't shortchange taxpayers on coal sales to Asia and other markets. Coal exports surged over the past decade even as domestic sales declined. Yet federal lawmakers and watchdog groups have long complained that taxpayers were losing hundreds of millions of dollars annually because royalties on coal form public lands were being improperly calculated. In 2016, companies sold 316 million tons of coal from federal and Indian lands valued at $5.4 billion. Those sales generated almost $600 million in reported royalties, according to Interior department data. Most coal from public lands is mined in Wyoming. Mines in Montana, Colorado, Utah and New Mexico also play a significant role. The fuel is used to produce about one-third of the nation's electricity, a figure that has dropped sharply in recent years as cheap natural gas has gained a much larger share of the power market. Rules in place since the 1980s have allowed companies to sell their fuel to affiliates and pay royalties to the government on that price, then turn around and sell the coal at higher prices, often overseas. Under the suspended rule change, the royalty rate would be determined at the time the coal is leased, and revenue will be based on the price paid by an outside entity, rather than an interim sale to an affiliated company. Conservationists criticized the administration's move, saying it was a "sweetheart deal" for the industry and will deprive states of much-needed revenues. About half the coal royalties collected by the federal government is disbursed to states. "This announcement is a gift to coal companies trying to avoid paying their fair share," said Steve Charter, a Montana rancher who lives next to the Bull Mountain coal mine near Roundup, which has sold fuel to customers in Asia. Companies including Gillette, Wyoming-based Cloud Peak Energy argue that the higher price includes transportation expenses and other logistical costs that shouldn't be factored into royalty payments. The hold placed on the rule was welcomed by lawmakers from Western states. Montana U.S. Sen. Steve Daines said the rule would have had "immediate detrimental effects" on the mining industry. U.S. Rep. Rob Bishop of Utah, chairman of the House Natural Resources Committee, said the rule change threatened to increase electricity rates for rural communities by raising the cost utilities pay for coal. 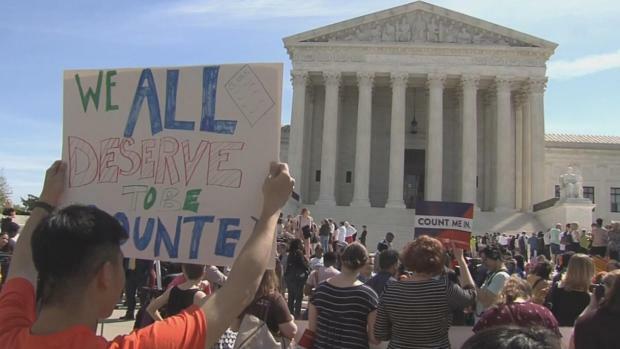 "The Trump administration made the right decision to suspend this illogical and legally dubious rule," Bishop said. The Interior Department rule also included changes to oil and gas valuations, but those changes have attracted far less attention than coal royalties.